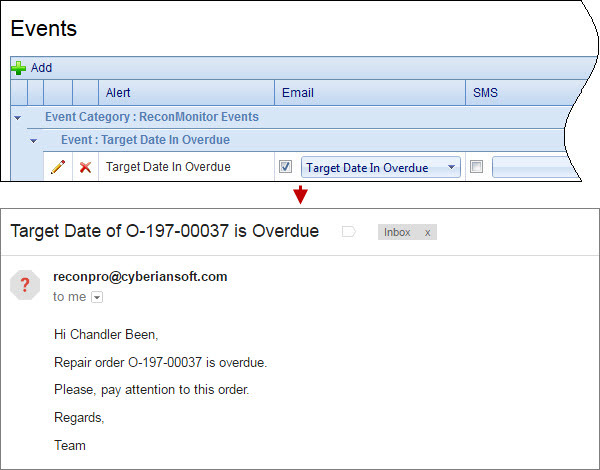 We have added a new event called Target Date In Overdue to the ReconMonitor Events category, so now you can set up automatic sending of email alerts after target date of repair orders becomes overdue. 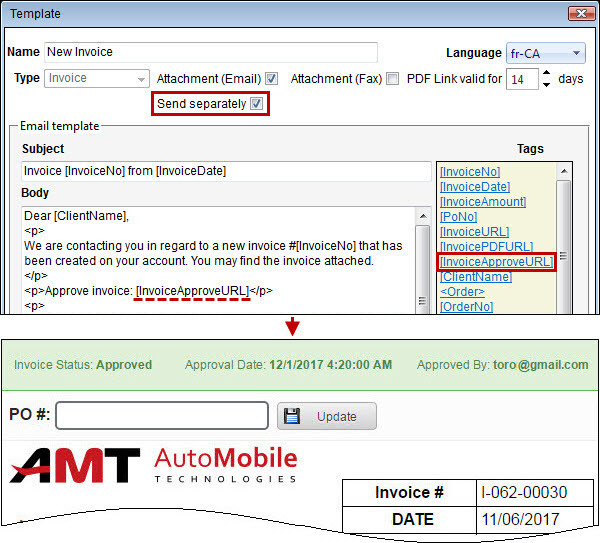 We have added the InvoiceApproveURL tag and the Send Separately check box to invoice email templates, so now you can set up sending invoice approval links to multiple contacts, and then track which contact approved the invoice. Now when you launch Back Office application from an outdated Internet browser, the appropriate notification is shown at the bottom of the screen. To install the up-to-date version of the browser, click the Update button, and then follow the instructions. To close the notification, click the Close icon. On the Services page, we have renamed the Active tab to the Active - ALL tab, and added two new tabs: Active - Labor and Active - Parts, so now you can manage labor services and parts services in an efficient way. When you click the Active - Labor tab, you can see services with the Labor price type only. Note We have changed the names of price columns to Wh(olesale) Labor Rate and Retail Labor Rate and removed the column that showed price type. Important! Now you can specify default labor rates for wholesale and retail clients on the Company Settings tab of the Company Info page. 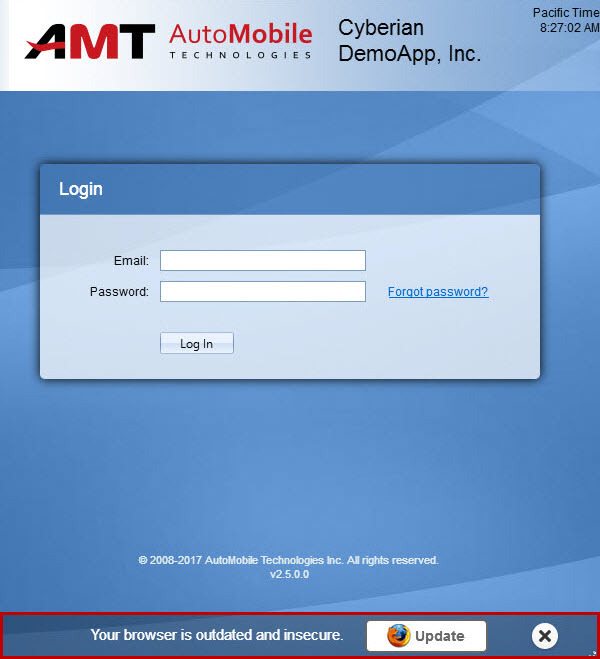 When you click the Active - Parts tab, you can see services with the Parts price type only. Note We have removed the column that showed price type. When either Active - Labor or Active - Parts tab is selected, and you click Add on the toolbar, the appropriate price type is preselected for the new service. 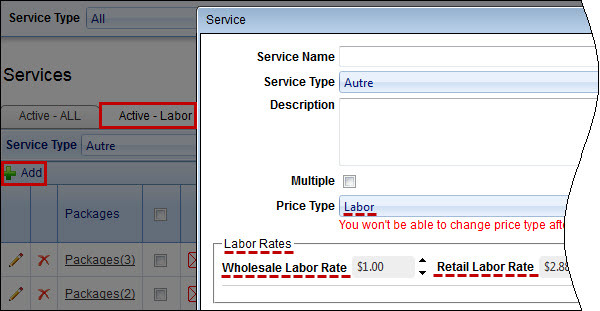 Note In the Service dialog box, when the Labor price type is selected, we have renamed the Prices section to the Labor Rates section, and labels of price boxes to the Wholesale Labor Rate and the Retail Labor Rate.